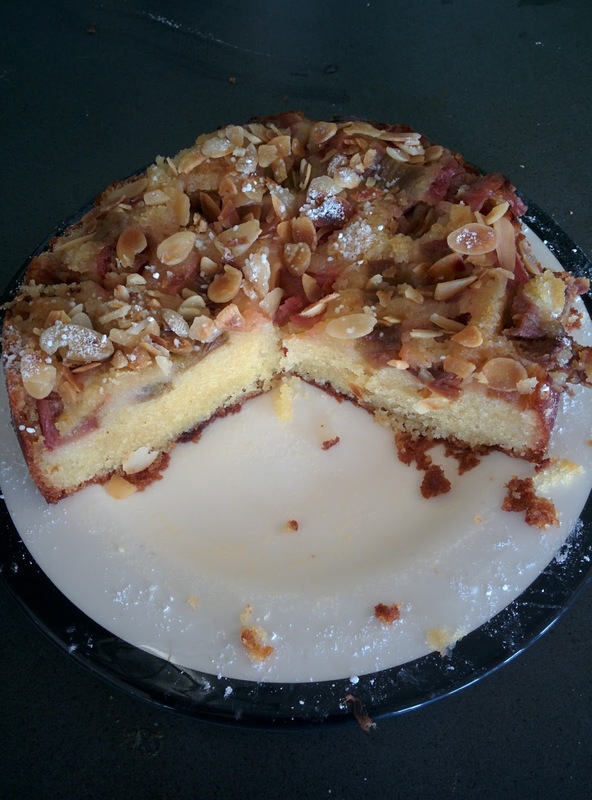 Rhubarb & Almond Cake – Where Is My Teaspoon? Happy Sunday to me and to you too. Spring is here which makes me happy. I have had such a busy week though and am exhausted so haven’t accomplished much this weekend other than lying down and going out last night. Oddly I’ve hurt my wrists/hands though and even typing this is causing them to ache so may have to lay off baking this week. Before I forgot, the blog has a NEW FACEBOOK PAGE, please give it a like and follow along? 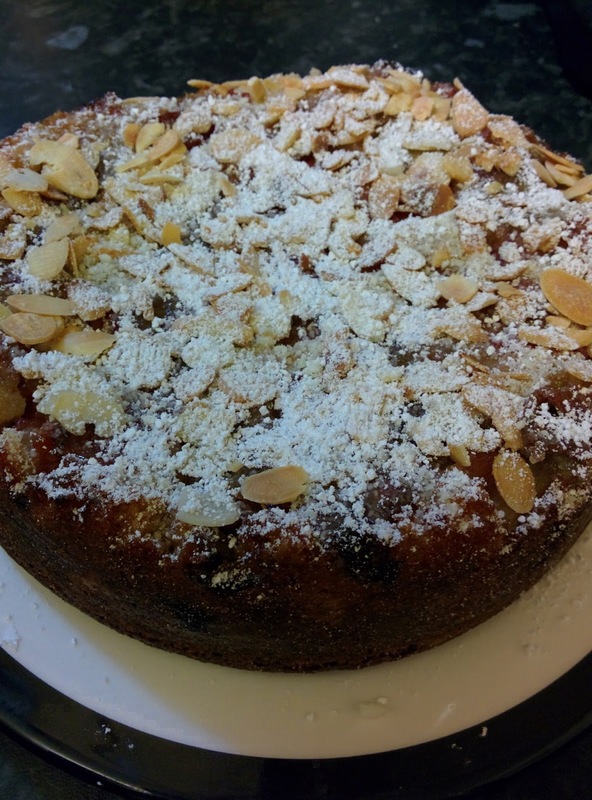 Last week was a brilliant week in terms of bakes as I made a Rhubarb and Almond Cake as well as a Chocolate Guinness Cake, both of which went down really well at work. Don’t you just love when something actually comes out right..for once! Everyone at work is saying I’m bringing in too much cakes and stuff getting them all chubs so I might have to expand the blog to savoury foods as well to keep it going. I also hosted my Annual Easter Egg Hunt at work which everyone enjoyed (I hope!) I just love seeing the whole team get involved and actually have some silliness at work. Catherine bought me an egg for organising it and gotta say, fair tempted today to eat it. Work was really sad this week as my “Work Wife” has left for a new job which has me really sad as it’s just not going to be the same! Actually, I made her some cookie dough for her leaving gift. I guess people always move on in life, to sometimes better things but I just hate change. Well, to be fair, it’s more honest of me to admit that I hate change I haven’t chosen. I work in a really small team and when someone leaves whether you love them or not, it can definitely be felt by everyone. It does make me really happy to see people decide to mix things up and go for something they want though. If you have your mind on something you just have to give it a go and see where it takes you. 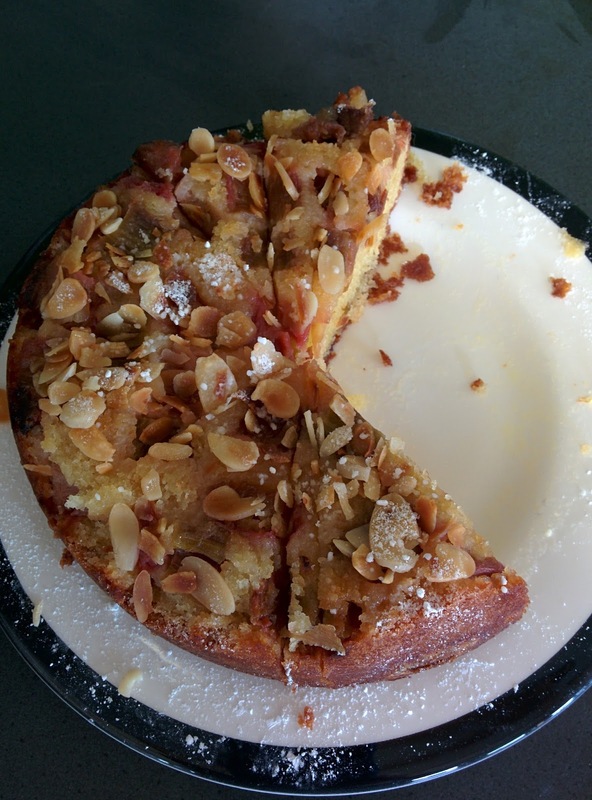 Anyway, this weeks recipe is my Rhubarb Almond Cake. Forced rhubarb is in season at the moment and I just think it is so underrated. Some people hate it but my parents grew it at home and so make a lot of rhubarb pies and I like how tart it can be. Grab yourself a cake tin. For this, I used my 7inch round tin which is a handy thing to have in the press as it’s a nicer sized cake to give as a gift than an 8inch. Just my opinion though. I think this would be just as nice as a loaf cake either. Preheat the oven to 190 degrees and line whatever tin you have chosen. Make sure to double line the bottom. Wash and chop the rhubarb. I have only given a rough guide to how much fruit to use as it might depend on the size of your tin. I think I used 300g in the end for mine. Put the fruit in a bowl and add the 2 tablespoons of caster sugar. Leave aside. To make the cake, put all other ingredients in the bowl and beat until smooth. Place half of your fruit at the bottom of the baking tin. The sugar will have released some of the juices from the fruit and made it nice and sticky. Pour in half the cake batter and smooth out. Add the other half of the fruit, try and keep it even. Follow with the remaining cake batter and flatten out so the top is nice and even. Place in the oven and bake for about 35 minutes. When the cake is finished, take it out of the oven and leave it to set in the tin for about 5 minutes. Tip the cake out and carefully remove the baking paper. It might get stuck as this is technically an upside down cake but you’ll cover it with almonds so it’ll be okay. While the cake is cooling, place a handful of flaked almonds in a pan and toast over the hob until golden brown – watch they don’t burn. Scatter them on top of the cake, followed with a nice dusting of icing sugar to finish. This cake is perfect with milky tea as an afternoon pick me up! ps, sorry my cake looks a little sad..I threw my handbag on it in Tabitha (my car). Still tasted pretty good though! Next Post Peacock’s Tearoom | Ely, Cambridgeshire.